/ Comments Off on What Is a Torsion Spring? 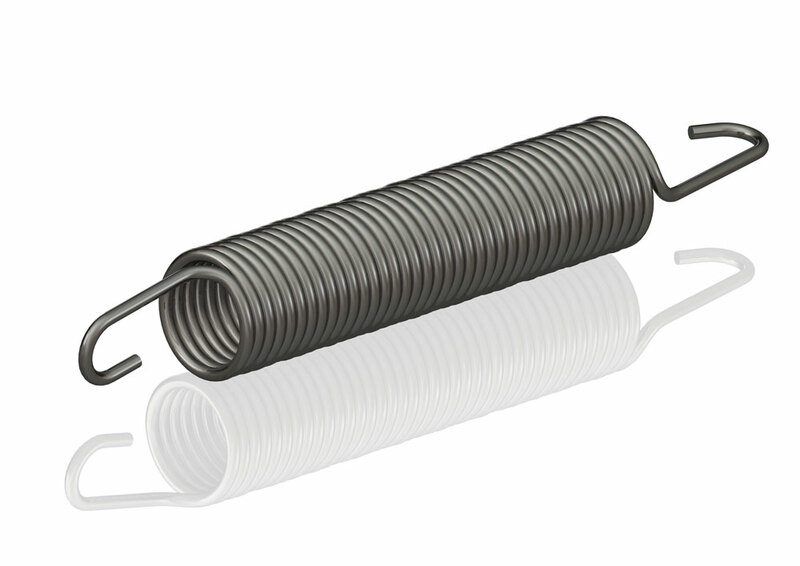 Garage doors and mouse traps both rely on the mechanical power of a torsion spring. A garage door is comprised of several parts that work together in a particular way. Of all these parts, a torsion spring is one of the most recognizable and the least understood. Getting acquainted with a few basic facts about torsion springs and their function will help homeowners recognize when these parts are malfunctioning. When you see a problem, be sure to call the experts. Repairing torsion springs on your own can be a dangerous proposition. Homeowners can recognize torsion springs as the large springs that are typically on the left and right sides of a garage door. These parts help provide the force needed to easily open and close the heavy door, even if the door is connected to an automatic opener. When the bar of a mousetrap is pulled back, the torsion spring is loaded with mechanical energy. The user feels the bar resist. The catch holding the bar in an upright position prevents the energy of the spring from releasing. The torsion spring is ready to act. When a mouse triggers the trap, the catch holding back the torsion spring releases, and the bar snaps forward. The force of the torsion spring holds the mouse securely in place until the user resets the trap. How Do Torsion Springs Help My Garage Door? While the action of a mousetrap and a garage door is different, the principle is the same. The torsion springs of a garage door are designed to respond to just a little bit of human or mechanical pressure. This allows garage doors to be opened and closed without great difficulty. The release of energy helps the user move the garage door without a lot of struggle. A garage door would be much more difficult to move without the pressure exerted by the torsion springs. An automatic opener would also struggle to open or close the door without the springs’ action. Automatic door openers provide just a fraction of the force that moves a heavy door. Torsion springs will gradually wear out and need to be replaced. If you have concerns about the action of your garage door, contact the experts at Ponderosa Garage Doors and Repair. We’re here to help!